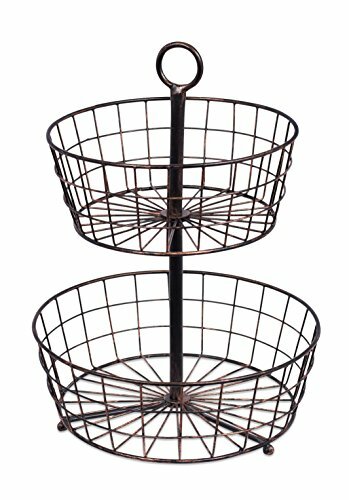 BirdRock Home 2 Tier Wire Fruit Baskets are the perfect addition to your kitchen island, countertops or table with its rustic oil rubbed bronze style. 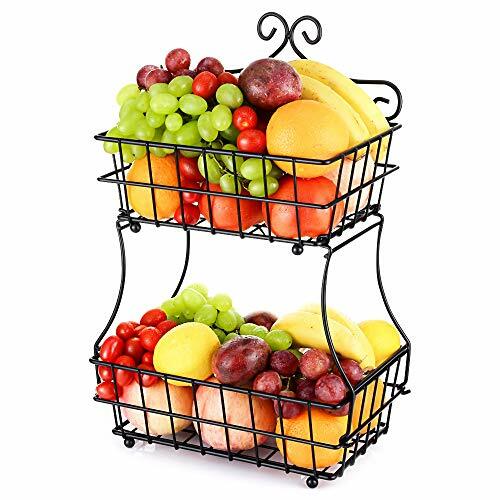 Designed with durable metal yet lightweight for ease of use and displaying your favorite fruit. 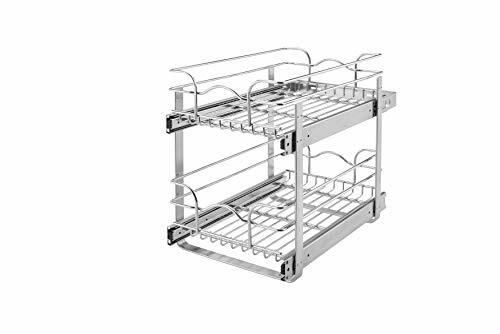 Store and display fruits, vegetables, garlic and other room temperature foods easily. 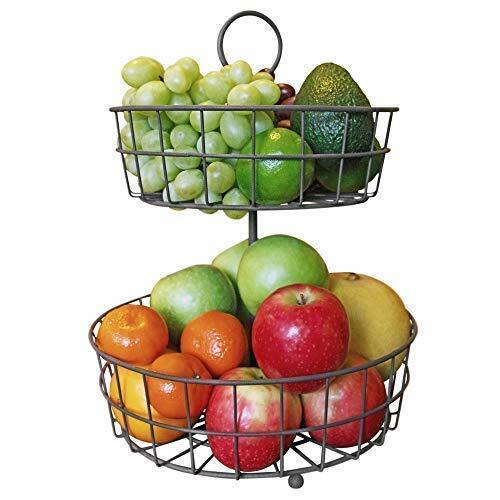 Simply place fruits or vegetables in an open air storage, circular wire baskets by BirdRock Home. 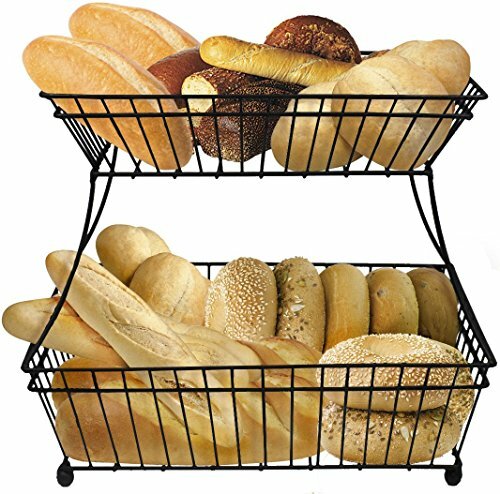 This Gourmet Basics by Mikasa Lattice 2 Tier Countertop Basket has an antique black finish that will bring a classic touch to your décor. 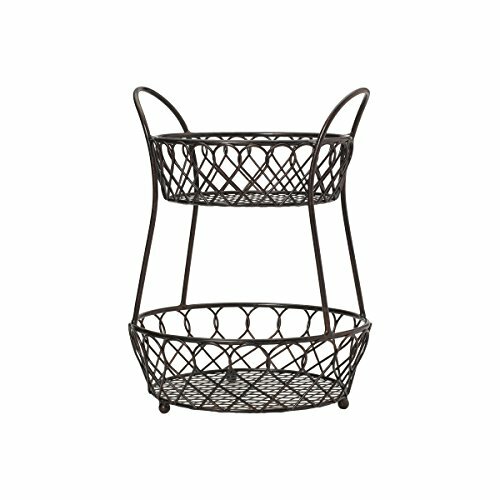 Handcrafted from wrought iron for long-lasting beauty even under rigorous use, this basket features a 2-tier design to create more storage space while cutting down on counter clutter. Wipe clean with a damp cloth. 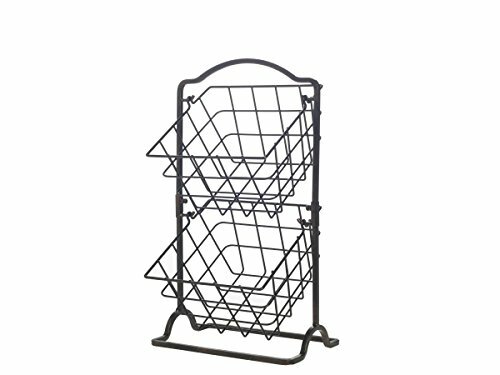 Countertop basket measures 16 inch high x 12 inch diameter. 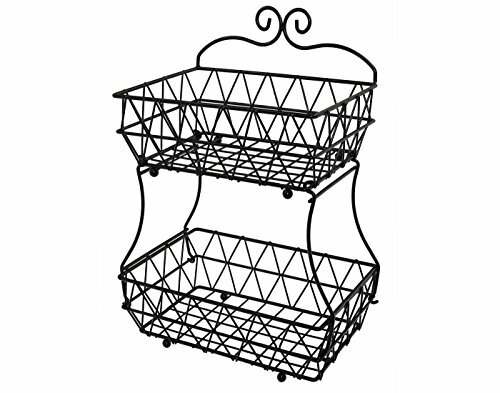 Shopping Results for "Two Tier Wire Basket"